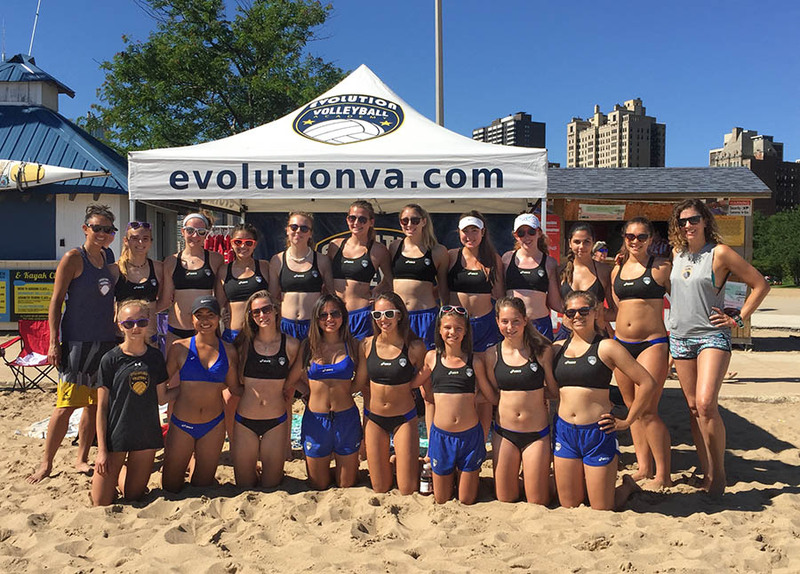 Evolution Volleyball is excited to announce the 2019 Beach Tour. The EBVA Tour welcomes both new and seasoned athletes to the beach game. We train 6-8 athletes per court and coach with a work to rest ratio of 2:1 or 2:2. 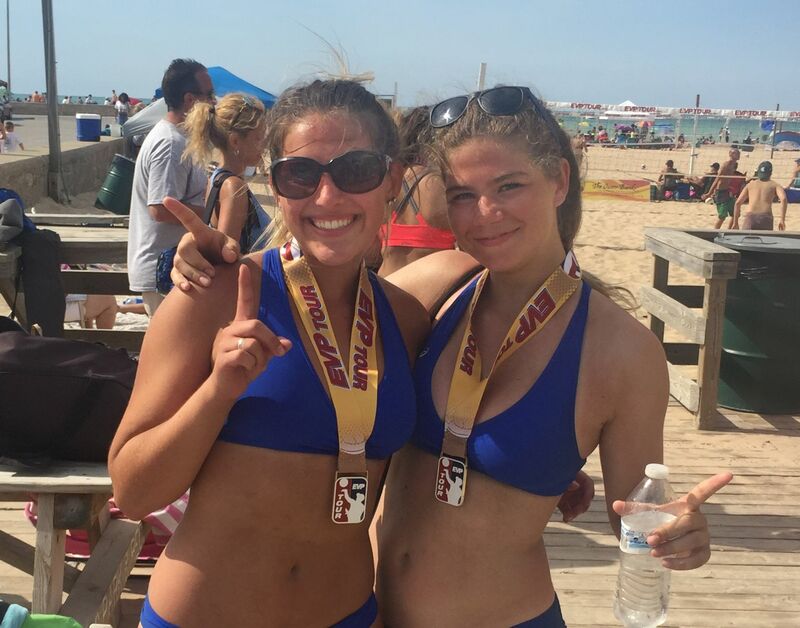 Beach teams consist of 2 athletes, you and your partner. You will touch the ball 50% of the time between you and your partner. All skills are required to be performed!!! 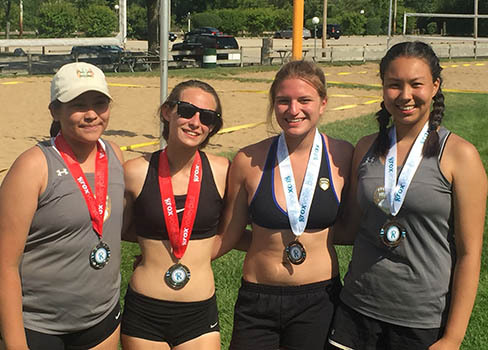 There is no position specialization in the beach game like there is in the indoor game; each athlete will learn to pass, set, attack, block, dig, defend, serve, and compete. The roster does not allow for a third teammate, therefore, you will not be able to sub during the match. The program is designed for athletes who are positive and desire to be challenged by their Head Trainer, their partner, and themselves. Players will learn how to problem solve, work through mental blocks, and learn to depend on each other. Why is this important? Coaches are not allowed to coach during the match. Athletes’ are responsible for coaching themselves except during time-outs, side-changes, and set-breaks. To register please click on the the register button, login (if you are returning player or create a new login), fill out the player information sheet and make your deposit. EBVA will train on Montrose Beach during May; we will move one beach north of Montrose to Foster Beach for June & July. The change of location will be noted on the the trainging schedule. We will start on Montrose solely because Foster will not be ready until June. Montrose Beach has been EBVA’s home beach for the past 4 years. Returning athletes and parents may wonder, why move north to Foster?? Foster Beach is much smaller and cleaner than Montrose with its soft white sand. The lake, water fountains, bathrooms, showers, and concessions are all within our trainer’s line of sight. At the end of the day, Foster Beach will provide a more intimate and safer training environment for our athletes. 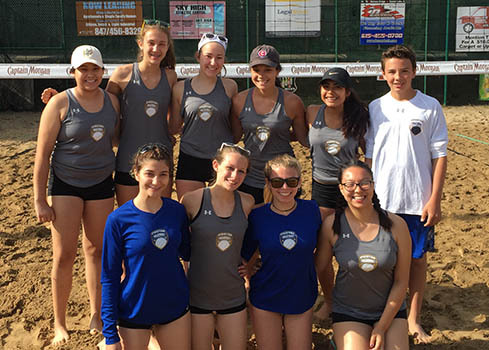 3 Month Beach Tour: $875 May 8th - August 2nd (This program is perfect for player whose season has concluded their indoor season or would like to get a jump on the 2019 beach season). A deposit of $350 will be required for the 3 Month Tour at the time of registration. A deposit of $400 will be required for the 2 Month Tour at the time of registration. Uniform package is subject to change with out notice. All Coaches are Impact certified. Participants will be required to purchase a USAV outdoor membership. Evolution Volleyball is offering a few discount options to each participant. $25 Player referral. Receive a $25 credit taken off your last payment for every participant referred. This credit will be applied once the referred participant’s fee is paid in full. (May be paired with Sibling, Returning Player and Loyalty discount). Credit Card Payments and deposites may be made via the Evolution Volleybal Academy website. There are no fee's to pay via the website. Payments may also be turned during practice or mailed to Evolution Volleyball. All mailed payments recieved after the 5th will encure a late fee of $50 that will be assesed to the following months schedule. Payment schedule: (If you require a different payment schedule please contact Kevin Mohring at kevin.evolutionva@gmail.com). For live updates for practices, tournaments, court assignments at tournaments and cancellations due to the weather. Please follow us on Facebook, Twitter, Instagram.